You all know how much I adore indigo, ikat and Thai weaving so it should come as no surprise that I fell head over heels in love with Ikat and Me when I discovered their shop on Etsy. 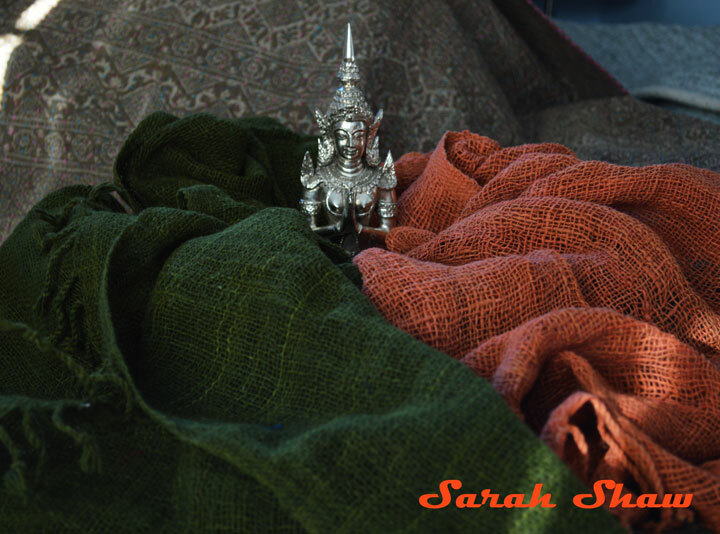 The colors and designs offered in their textiles are exactly what attracts me so strongly to Thai weaving traditions. 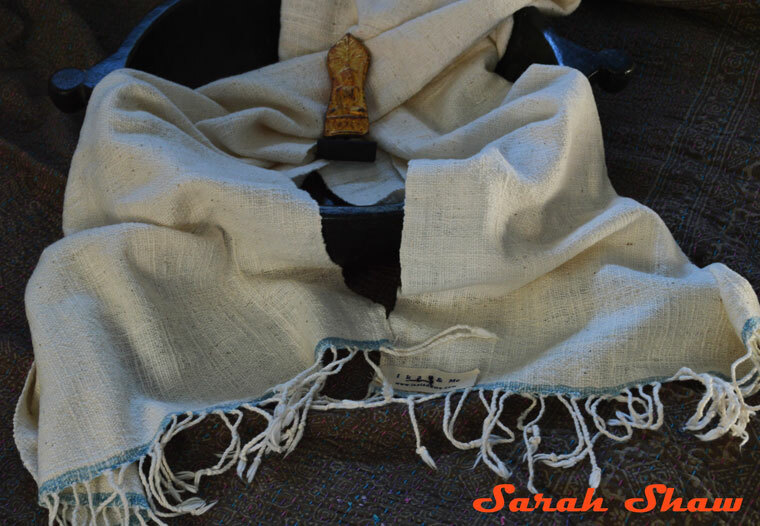 The scarves, shawls, tea towels and bags are so gorgeous that I know you will love them too! They were an obvious choice for my new weekly feature, WanderShop, where I showcase women artists and business owners. The other criteria for being featured in a WanderShop post is that you, dear WanderShoppers, must be able to buy their items online so you can build your global style from home. 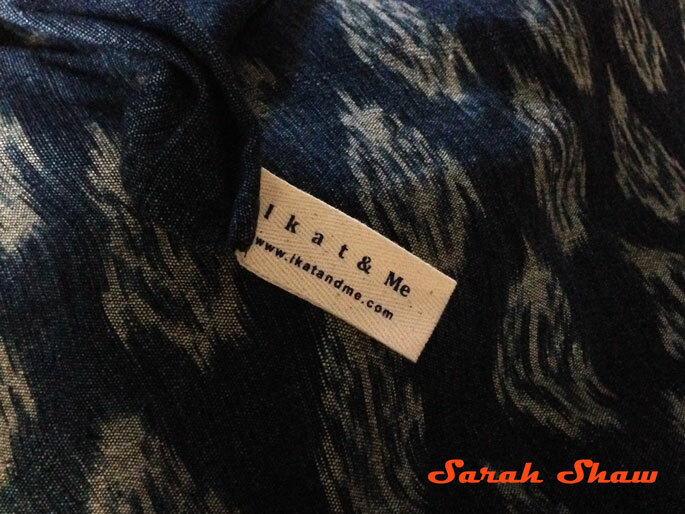 I recently had a chance to interview Anna Riensuwarn, one of the founders of Ikat and Me. 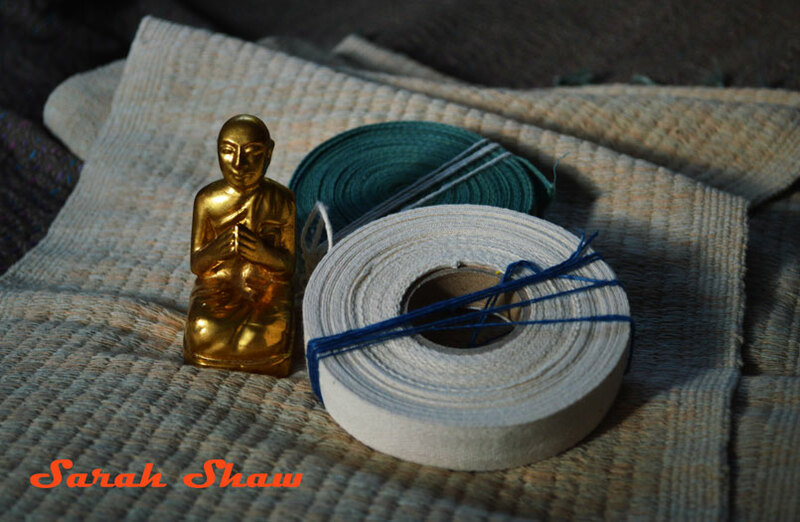 It’s easy to tell how passionate Anna is about preserving craft traditions in Thailand while also creating new designs. 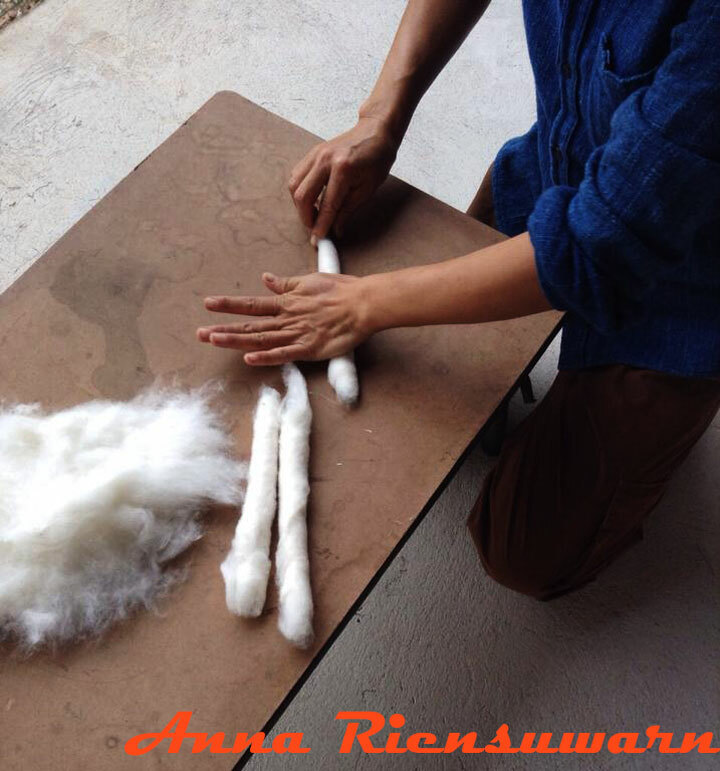 As we get to know Anna, as well as Ikat and Me, better I will be sharing pictures of some of the items I have collected from their shop along with photos Anna shared with me that were taken in Thailand at the weavers cooperative. Fall is a really busy time for Ikat and Me as they are busy launching their holiday and winter collections which will begin appearing in their shop on Etsy soon. 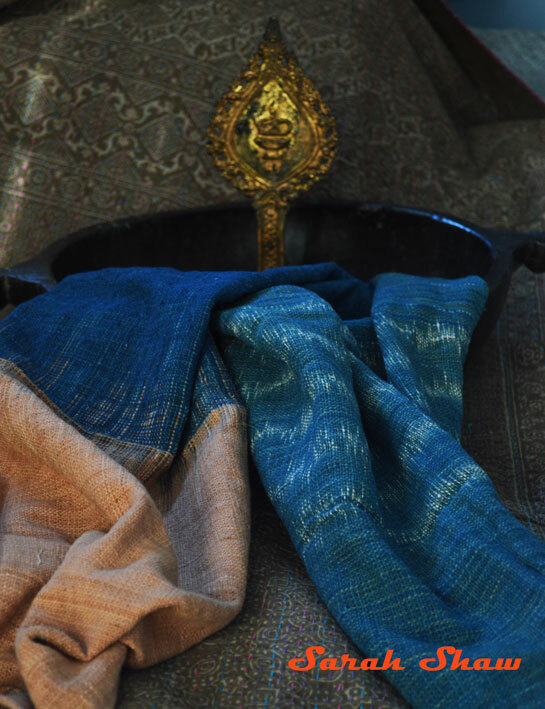 They have continued to see their business grow since it began and as as a result they have been able to expand their designs and the orders they place with their partner weavers cooperative in Thailand. WS: What is the mission of Ikat and Me? 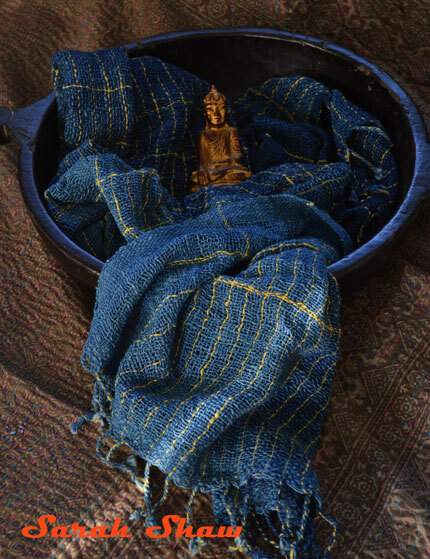 IaM: Affordable artisan crafts for customers, fair trade, support women weaving co-op in rice farming communities in Northeast region of Thailand. WS: How long as Ikat and Me been open? WS: What motivated you to start Ikat and Me? IaM: (My) love of hand woven fabric and helping Thai weavers with designs, to (bring them to) a larger group of consumers for their everyday use. In another dialogue with me, Anna had shared how important it is to her to help bring more jobs and income to craftswomen in the rice farming communities in Thailand. After the farming season, they need additional opportunities to continue to earn a living and weaving fills that specific need. Ikat and Me comes in as they advise the weavers cooperative how to design new items that appeal to a larger, global market of shoppers. Anna began Ikat and Me with her high school friend, Duangkamol Vatanutanon, who currently lives in Bangkok. 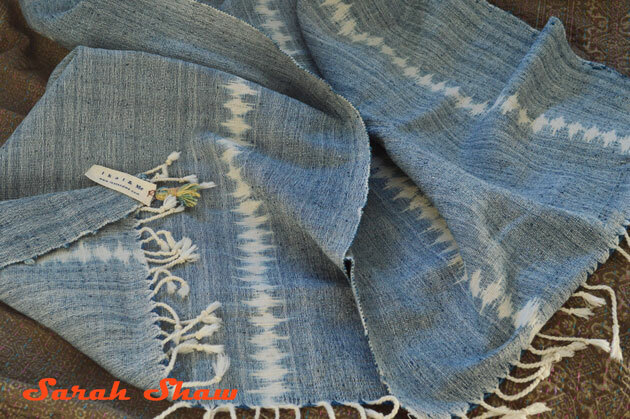 Adding in a third friend in Hiroshima City, Japan, Ikuko Kuzuhara, they have tackled creating special hand-spun yarns for knitting in addition to the textiles offered through Ikat and Me. The yarns have done especially well and been popular with their Japanese customers. 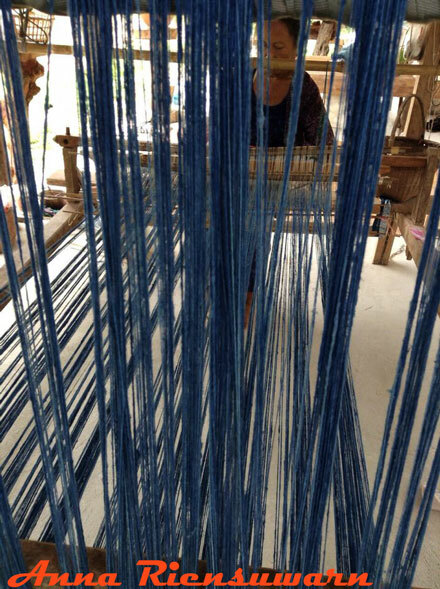 Last year, the three friends were able to go on a weaving tour of Northeast Thailand. This friendship has blossomed into more than just their business. They also started a charity called the Project of Three which I will share more with you later in this post. WS: How did you choose Ikat and Me as the name? IaM: I love Ikat tie-dyeing. 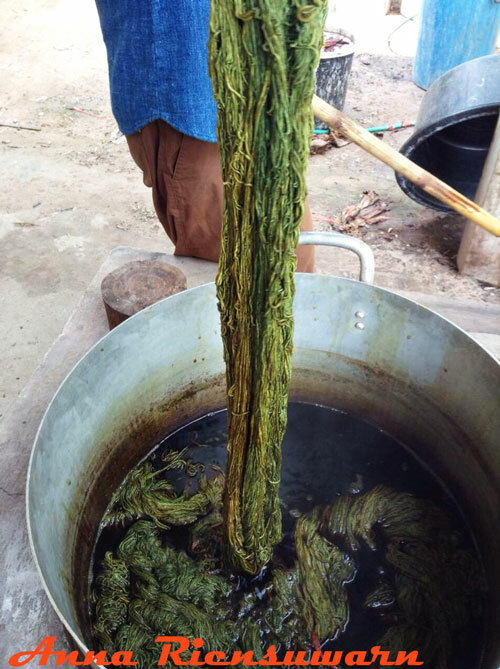 I also weave and dye fabric from plants as a hobby. WS: How do you choose what items to offer at Ikat and Me? 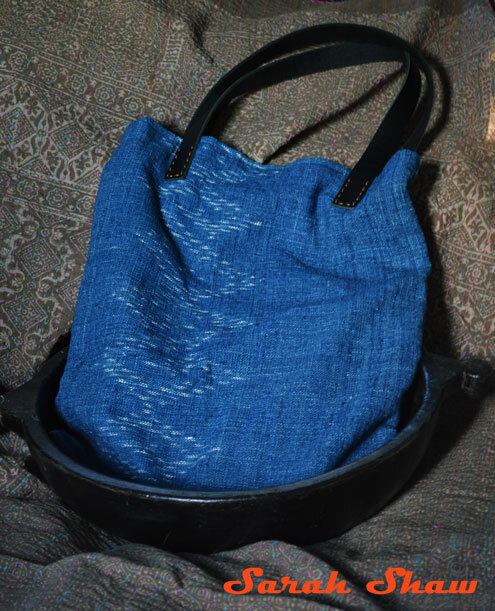 IaM: I design the products and work with the weavers and Ikat tie-dye artists to make sure that they are all handmade and non-chemical from start to end. WS: When did you begin weaving? 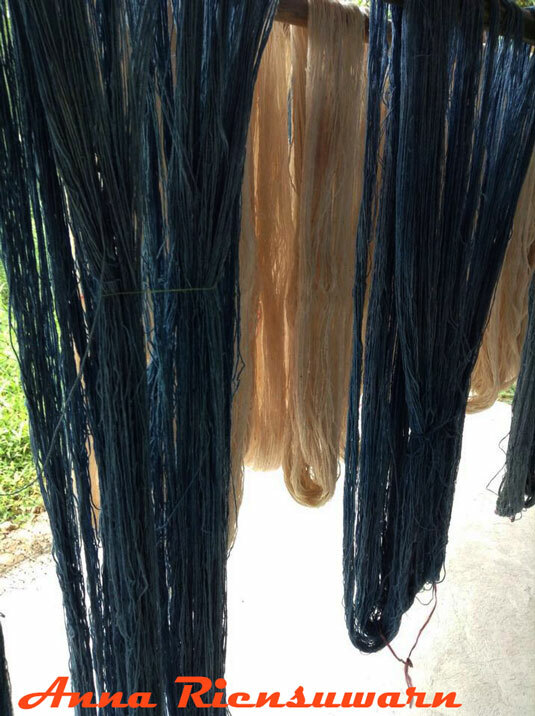 WS: How did you learn about dyeing with natural dyes? 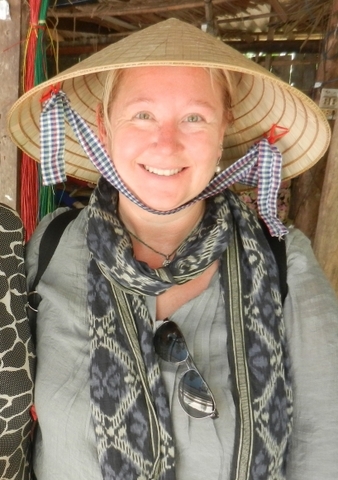 IaM: (I am) self-taught and then (I began) working with tie-dye artists in Thailand. WS: How do you choose the materials you work with? IaM: Most of the color dyes are locally grown in the weaving communities. 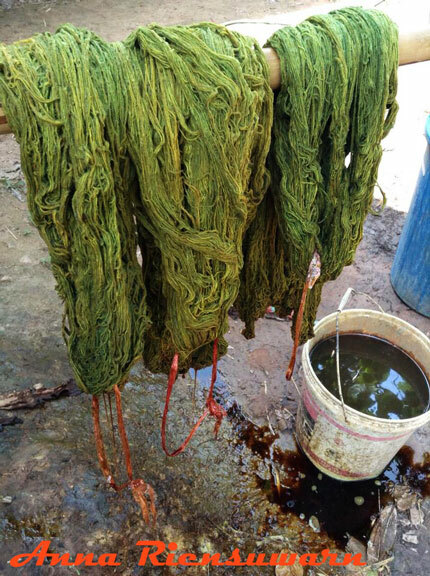 We really focus on hand-spun cotton yarns, natural dyes and a non-chemical process as much as possible. WS: Why do you choose to work in this medium? Why is it important to you? IaM: It is definitely a labor of love. I have an opportunity to live in a great country, the United States of America. I would like to use this great opportunity I have to bring great handmade products to American and international consumers. I also want to help Thai weavers with (earning) more income as well as their design development so they can target a larger audience for use in their everyday living. 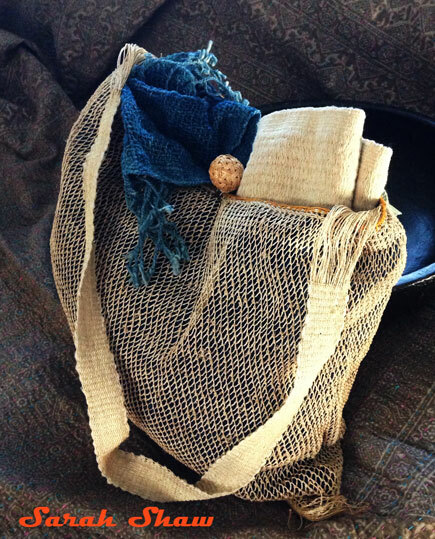 WS: What are the advantages of someone choosing natural dyes and fabrics? IaM: Environmentally friendly and non-chemical. WS: What inspires your designs? IaM: Zen way of living. Simplicity yet sophisticated. WS: How does the design process work? Who designs the items? IaM: I start with drawing and painting on paper first. Then I discuss with the tie-dye artist and weavers if I have to adjust the design and color to compromise with their process and availability of color dyes at their weaving facility. Sometimes, I will experiment dyeing colors from new plants and different techniques of weaving and then share with them. They will take my information and advice and then work with it. It’s the effort of teamwork. WS: How is it to work long distance from the U.S. to Thailand? What challenges fo you have to overcome? IaM: It’s working great. No problem. Thanks to the social networks and communication technologies! The challenge is taking so long to ship to the U.S. and that shipping costs is so expensive. It’s really hard for designers to have to wait so long to touch the physical products. WS: How would you describe your personal style, Anna? WS: What influences you personal interior design choices? IaM: Nature, color, vintage and modern era. WS: What color scheme excites you the most at the moment? IaM: Blue, gray, orange and yellow. WS: When you want to redecorate a space in your home, where do you usually begin? 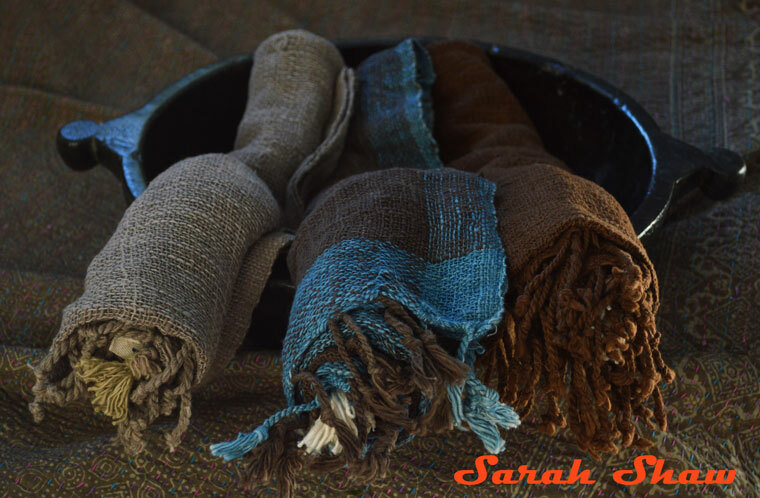 A color, item, furniture, or textile? IaM: Space…more empty space. And organizing my office first. WS: What was the first global treasure you remember really caught your eye when you were a child? IaM: Japanese pottery. My grandfather’s Raku Japanese teacup he drank out of for years. WS: How often do you travel back to Thailand? WS: Do you travel for pleasure too? Id so what destination inspire you most currently? IaM: A mix of pleasure and business. I’m inspired by the regions along the Mekong River. WS: Where would you like to travel next? What do you hope to do there? IaM: I would love to visit Northeast Thailand again and wish to spend a longer time there. WS: Describe your perfect vacation. IaM: No itinerary, relax, learning something along the way, good food, and great company. WS: When you travel, what do you always make sure to pack? IaM: My kindle for sure. Also a versatile scarf, good shoes, a good backpack and comfy clothes. WS: If a WanderShopper could only take one vacation for the rest of their lives, where should they go? WS: Where do you call home? IaM: My house on the hill in Seattle which allows me to homestead and live a sustainable lifestyle. WS: Where is your favorite place to escape? WS: What hobbies do you have? IaM: Gardening, hiking, tea blending, weaving and crafting. WS: Where do you like to shop personally? IaM: Goodwill, Amazon and Etsy. WS: Do you keep any collections? If so, what? IaM: I love vintage and antique finds. So I collect a lot of things related to that. Tea cups, old jars, vintage fabric, pottery and baskets. WS: What do you consider to be your best shopping find ever? IaM: One time I went to pick up a dinning set with a kitchen Formica table. I saw an old beautiful red TV cabinet and asked the seller if she would like to sell it. The seller said since I bought the table set, I could have the cabinet for free!! It’s the center of my living room. I basically chose the room color to match that! Best shopping find ever! WS: What’s on your shopping list to give as gifts this holiday season? IaM: Handmade items for sure. WS: What item at Ikat and Me makes a perfect gift? IaM: Perfect is a very subjective word. 🙂 If you wood like something 100% handmade, pretty much we have at least a few things for everyone. WS: If a WanderShopper could only buy one item from your shop, which one should it be? 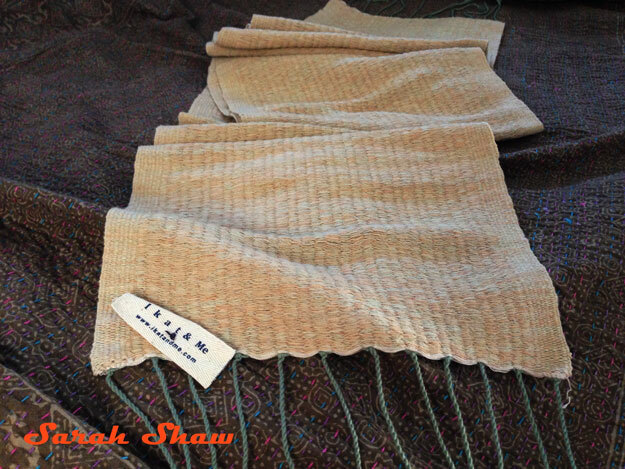 IaM: A fish bone designed pattern wrap. They come our slightly different each bath even though they came from the same original design. That’s the beauty of ikat tie-dye. WS: What do you think will be the next direction for Ikat and Me? IaM: We are working on having our own website. We are expanding into a new line of products, sustainable wood (found) in the local area of the weaving communities we partner with. It’s coconut shell, etc. It’s really exciting. I have just finished my designs and they are in the process of making samples and product testing. WS: Where do you see Ikat and Me in 5 years? What are your dreams? IaM: Having a successful online handmade general store and not just with textiles. WS: What do you wish people knew about Ikat and Me? IaM: That our items are handmade, handcrafted, all natural, organically made and fair trade. I know you have been curious to learn more about the charity the three Ikat and Me ladies founded called Project of Three. They chose to adopt three underfunded schools in Northeastern Thailand to help in the areas of Education, Creativity and Comfort. Through donations collected from school alumni, they were able to impact students in all of their focus areas. For example, they were able to donate winter clothing including gloves, hats and scarves for the children ages 4-9 years old. They help to purchase new materials for the library at the schools as well as art supplies and sports equipment. They’ve found many other ways to make impacts, too. One way is to work with the schools to add more organic produce into the lunches for the kids. The Project of Three has also helped to educate the students about organic farming, nutrition, self reliance and work ethic. The Project of Three has also been able to assist with career development classes to help show students how they can find meaningful jobs in their area and help to stop the loss of graduates from rural communities to larger cities. Keeping graduates in their birth communities will allow them to stay close to their families as well as preserving traditions, culture and handcrafting skills as they pass them on to future generations. Traditional craft including weaving, ikat and hand dyed art are just a few that are threatened by loss of younger generations when they migrate away from their home and families. 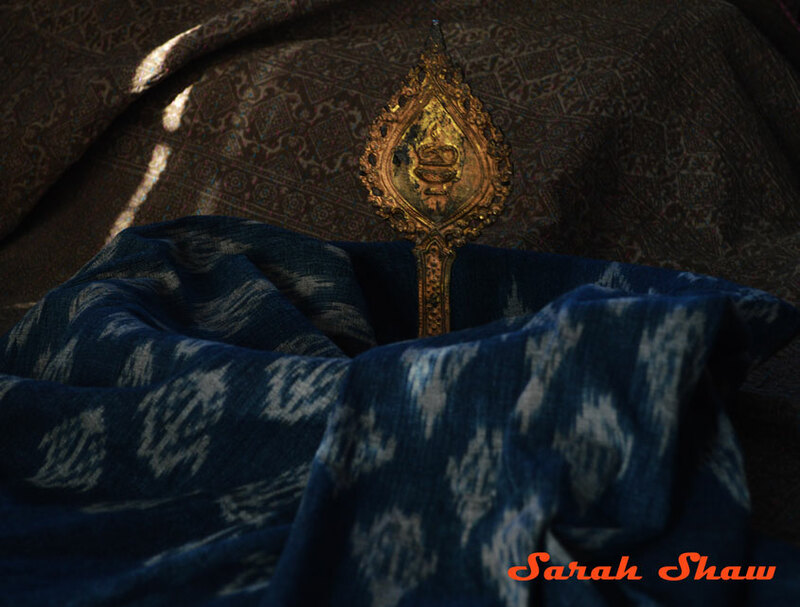 Now that you have learned more about Ikat and Me along with the wonderful Thai weaving they support and make available to you, I’m sure you’re as excited to discover them as I was. I recommend that you visit their shop on Etsy and start purchasing the items you love. Some of their creations are made in small batches and hard to recreate so you don’t want to miss out on something. I will be checking back regularly over the next few weeks as the new holiday collection is debuted. I already know a few Christmas gifts that I will be buying from Ikat and Me. 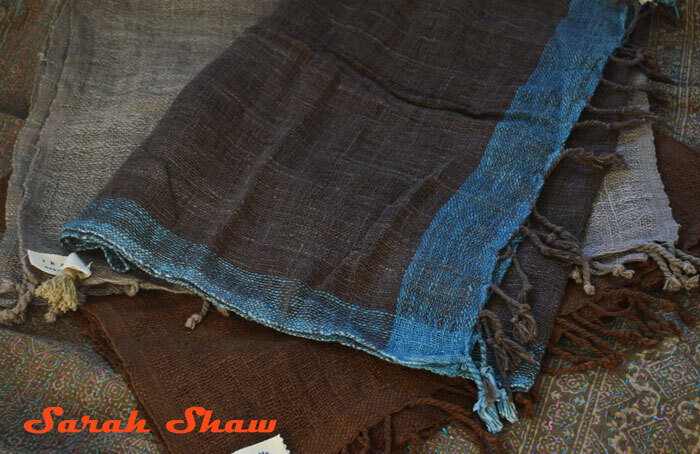 Everyone I know would love a tea towel in a classic Thai weaving design or a beautiful scarf. And some of the new product line Anna mentioned has made it to the shop including some lovely buttons perfect for your gift projects. As always, I have a few more photos to share with you than there was room in my post. If you would like to see more images of Ikat and Me’s Thai weavings as well as photos from Anna’s visit to the cooperative in Thailand, head on over to the WanderShopper fanpage on Facebook. There, in the photo album WanderShop, you will be able to see and learn more. Be sure to “like” WanderShopper while you are there so you will receive alerts to future posts as well as be able to see Facebook only content. To learn more about ikat, indigo and Thai weaving , check out an earlier post on my favorite place in Bangkok to shop for indigo ikat. 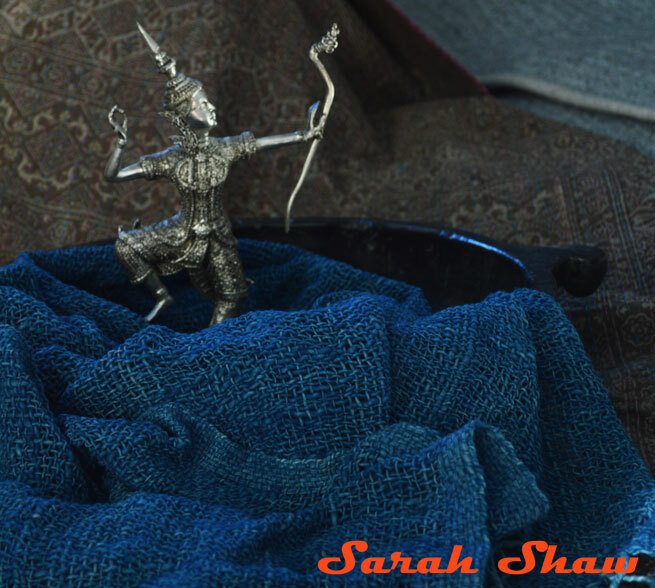 Sarah Shaw wanders the globe to discover artisanal traditions and crafts. Her passion for shopping leads her down dark alleys of souks, through crowded stalls of markets, into busy workshops of craftspeople and browsing among unique boutiques. Back in Michigan, she loves incorporating her global style of vintage and contemporary finds into her home and wardrobe. For you she curates and sources the best the world has to offer.